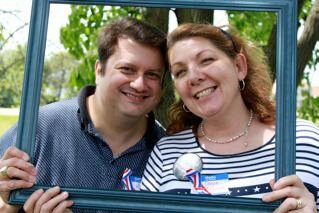 The Schooley Files: Finding "The Right One"
It’s clear that some marriage unions are a huge mistake. Usually this involves marriage to a person who doesn’t share our faith, or when someone who was simply desperate to get married marries someone who was domineering and abusive. Nonetheless, most marriages are made or lost within the marriage itself, not because the right person or wrong person was chosen. If we look at the success of marriage as something that happens within the marriage itself, it changes the whole dynamic. First of all, it stifles the impulse to escape once the honeymoon has worn off and the reality has set in that the human being before you can’t possibly meet all your needs. Instead of trying to find someone who is a ready-made Right Person, we realize that God has us in a process of becoming a Right Person for one another, not only before marriage, but after, and throughout our lives. If we’re believers, we’re all in a process of being conformed into the image of Jesus. The more like him we become, the more selfless we will be, and the more right for one another we will be. Once again, we find that the ultimate goal God has for each one of us actually works out to be the best thing in our own lives. We’re all much too influenced by the way the entertainment industry deals with romantic love. Television and movies tell us that love is the only moral reason for marriage; love is something you don’t choose but rather fall into; love is primarily an emotion you experience; once you fall out of love, it’s time to call it quits. None of these things are true. Hollywood tells us to follow our hearts. The Bible tells us that the heart is deceitful (Jeremiah 17:9). (tweet this) It lies to us. It plays tricks on us. Hollywood tells us that sticking with a relationship when you’re not feeling in love is a matter of being inauthentic, of not being true to ourselves. Being true to our commitments, true to our promises—none of that matters. If you had really been right for one another, you wouldn’t have fallen out of love. But love is not the same thing as that romantic rush. It’s not something you fall into or fall out of. Love, ultimately, is something you do. You have to choose it, and then you have to follow through in your actions. You love others not by feeling warm fuzzies about them, but by giving of yourself to them, by sacrificing for them. Love is also an emotion, but it’s largely an emotion that comes out of that self-sacrificial giving. When you invest in someone, you love them. “Where your treasure is, there your heart will be also.” We are emotional beings, just as we are rational, physical, and spiritual beings. It would be foolish to say that the emotion of love plays no part. Love is felt as an emotion when we’ve invested in a person, but that emotion is not constant, because we as human beings are not emotionally constant. We need to trust that if we persevere in the action of love, the emotion of love will return. Not only will it return, but it will grow and endure. So a Christian view of love is a completely different kind of thing than the idea that Hollywood has given us. Rather than falling in love, being swept up in emotion, and then falling out of it and leaving for another person, we instead make a choice to love, and to continue to love in our actions whether our emotions are in sync with those actions or not. We trust that as we continue to treat our spouses with love, the emotion of love will return, and we will form a deep and abiding bond over a lifetime. That bond reflects the love of God for us, and it is the reality that our emotional feeling of love when we’re dating only hints at. That’s the final answer to the question, “How do I know that I’ve found the right one?” When you’ve chosen to love someone for a lifetime, when you’ve allowed God to make both you and your spouse more like him, and therefore, more right for one another, then you know. The answer doesn’t come at the beginning. It grows more and more clear throughout our lives. It’s not who you start out as that counts, but who you end up being in the end. That’s how you know. 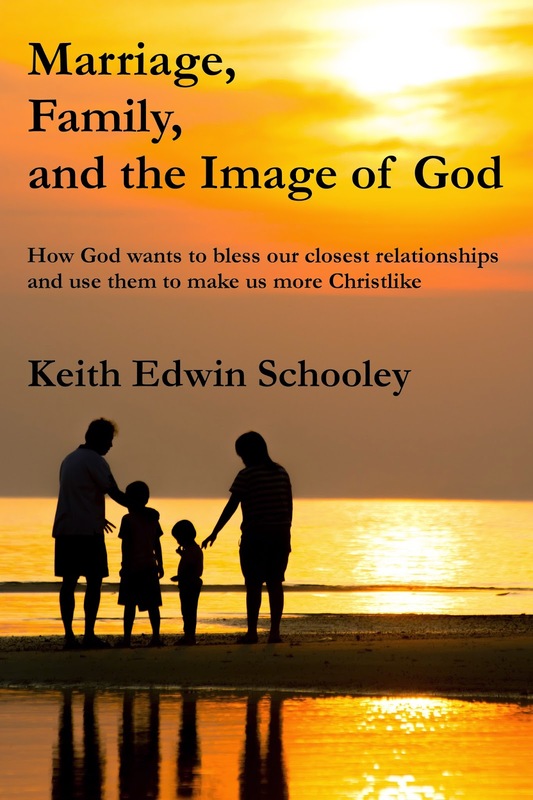 To know more about Cecile's and my story, and for more of my perspective on biblical marriage and family, check out my book, Marriage, Family, and the Image of God . Great thoughts, Keith! And I love how you pointed out that it's about both spouses looking more like God. Exactly! Thank you, Sheila! I appreciate you stopping by!